Shaun Thomas’ piece, THE POINT will now be on display for the “Movement” show from Dec 30, 2014 – Jan 23, 2015, with an opening reception Jan 3. Orange County Creatives Gallery is located in Laguna Beach, a premier art community and bustling tourist destination. This fantastic piece is a limited edition wave made with maple wood with a printed background all mounted on wood. 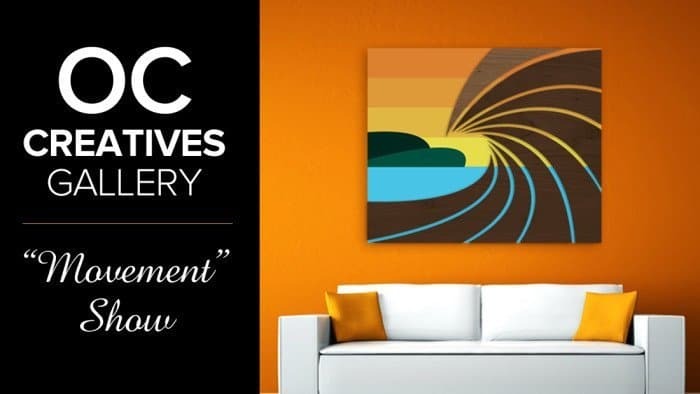 Whether you are a surfer or simply enjoy the ocean, you will absolutely love this piece.